Approaching Runway 19 after a regional service in northern Norway. 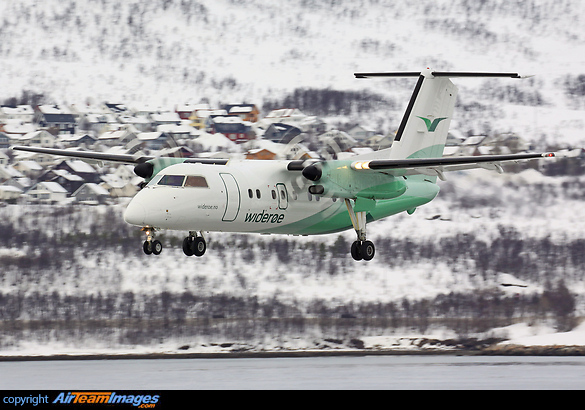 The -100 is the baseline variant of the Dash 8 family. Out of production. PW120A variant used, with 2000shp.